Before any land was ever surveyed in this area, a railroad was being built. This track was known as the Springfield, Effingham and Southern. Unlike the tracks of today, it was a narrow gauge line. If it had not been built, there probably would not be a Village of Dieterich as we know it today. Michael Dieterich came to Effingham County in 1870, purchasing a half section of wild, untamed prairie land in Section 13 of Bishop Township. He later purchased the other half of the section and had it all fenced in and cultivated by 1883. In 1881, John Grace purchased a portion of Section 12 plus a small portion of Section 13 which adjoined the Michael Dieterich Land and called his land Graceville. In 1882, William and Mary Horn purchased 80 acres in the northeast corner of Section 14, a portion of which was platted and became Horn’s Addition to Dieterich. According to the 1880 Census, there were 75 people living here. In December of 1880, the railroad lacked eight miles of track to be completed between Newton and Effingham. Soon after, Mr. Dieterich and Mr. Grace had their land platted and Mr. Dieterich donated a portion of the north edge of his land with the understanding a station would be located on the land and named after him. This station was known as Dieterichsburg. Apparently there was quite a bit of rivalry between Graceville and Dieterichsburg. The station was a boxcar placed along the tracks south of the present Parish Center of the former Immaculate Conception Catholic Church. After the Station was established, Dieterichsburg soon became a shipping hub for the surrounding areas for both farming and commercial products. Some of the products shipped included grain, lumber, cattle, hogs, horses, fruit, and creamery products. The railroad also became the center of transportation for the people living in Elliottstown, Eberle, Winterrowd, Island Grove and Bishop. In September of 1883, Dieterichsburg’s first telegraph office opened. From the start, the railroad had financial difficulities and within a few years this narrow gauge line was sold. It became the Indiana and Illinois Southern and it was widened to the standard width that we see today. Railroad workers had difficulty finding lodging, especially south of Teutopolis due to opposition from many of the landowners, thus, Dieterichsburg had to offer hotels, rooming houses, eateries and saloons to meet their needs. In March of 1893, the adjoining communities of Graceville and Dieterichsburg voted to incorporate, which was accomplished on April 28th with the first meeting of the Village Council who then appointed an Acting President. The incorporated town was called Dieterich. Quickly following the incorporation, Krueger’s Addition, Horn’s New Addition and in latter years, Deters’ and Petry’s Additions were added. Businesses around the turn of the century included: harness makers, creameries, blacksmiths, wagon makers, general stores, hardware stores, saloons, a furniture store, a grist mill, produce dealers, hotels, a livery stable, a bank, and a lumber yard. In fact, at one time, Dieterich reportedly had a population of 1000 people. Some businesses established in the early 1900’s are still in business today. As time passed, Dieterich progressed along with the rest of the world. In 1917, a business was built in town by a Teutopolis resident which greatly influenced the entire community. It was the J.M. Schultz Seed Company which specialized in the buying, cleaning and reselling of different grass seeds, mainly Red Top and Timothy. In fact, Dieterich at one time, was known as the Red Top capital of the world. The J.M. Schultz Seed Company provided employment for a number of people and also gave farmers a way to bring in more earnings. Although people in those early days had a strong work ethic, they also found time for enjoyment. A few examples included: dances, harvest picnics, and ball games. The 4th of July was always celebrated with a parade, celebration and fireworks. The 4th of July was held on Main Street until 1905 at which time land for a park was purchased and celebrations have been held there ever since. Through the years the residents have lived through several wars and the community has always responded to the call of duty. In fact, during World War 1, a Machine Gun Company was formed of men from Dieterich and the surrounding community. 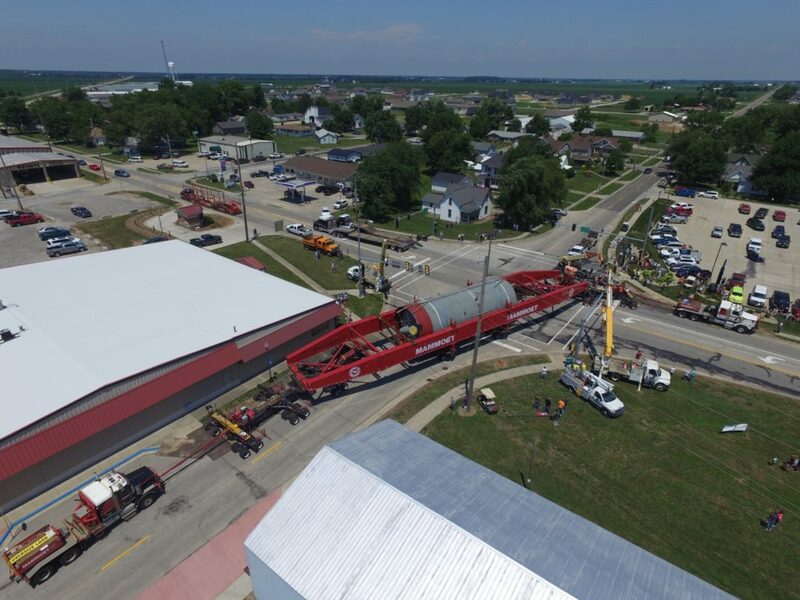 It was said that Dieterich was the smallest town in the country to accomplish such a feat. The 130th Infantry was comprised of 72 men, known as Dieterich Machine Company G, and served in France from February 28th, 1917 through November 11, 1918. Everyone of the Company survived their tour of duty in France and after the men returned to Dieterich, a Memorial Arch was built in their honor at the entrance to the Park. Servicemen from all wars were further honored when the community generously responded and a beautiful Veterans Memorial was erected around this Arch. It was dedicated on Memorial Day 2001. Today, due to recent tax increment financing programs, Dieterich industry is growing and new residential areas are being developed. Several new businesses have opened up in the new Industrial Park and over thirty new homes have been built in the new North Pointe subdivision since 2005. The Village Hall, built in 1927, has undergone a “facelift” not only making it more attractive but also being more inviting to meeting resident needs and community efforts. For more information on Dieterich’s history please stop by Village Hall to read through Dieterich’s Centennial History book.